Mexico remains the cornerstone of the growth strategy set for AMResorts® , an Apple Leisure Group® related brand, with the announcement of the upcoming openings of five new resorts in 2019. 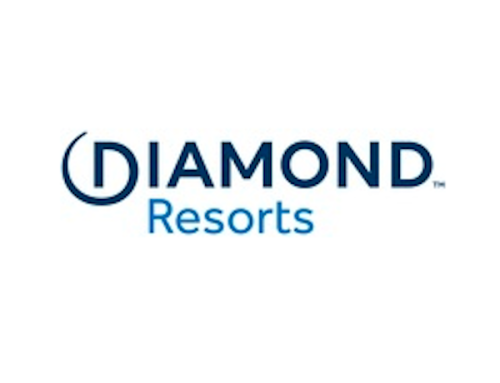 The openings will expand the presence of the award-winning brands, Dreams®, Now®, and Sunscape® Resort & Spas, bringingAMResorts’ total branded portfolio in the country to more than 30 resorts. Executives of the brands shared new resort details, as well as revealed plans to rebrand the Reflect® Resort & Spas’ properties, during a press conference hosted by Apple Leisure Group and AMResorts at Tianguis Turístico México, Mexico’s leading tourism conference. AMResorts is one of the fastest-growing luxury leisure travel brands in North America currently boasting more than 60 open resorts in seven countries across eight award-wining brands in popular destinations throughout Mexico, the Caribbean, Central America and Spain. Dreams Acapulco Resort & Spa: the 605 room resort will be set on Playa Icacos on the Miguel Alemán coast of Acapulco and will welcome guests in late 2019. It will offer seven restaurants, four bars and lounges and a Dreams Spa by Pevonia®. Now Emerald Cancun Resort & Spa: set to open June 2019, Now Emerald Cancun will be located between the Caribbean Sea and the Nichupte Lagoon and will feature 427 guest rooms and suites offering garden, lagoon and ocean views. The resort is set on a beautiful white sand beach with crystal blue water and is only 8 minutes away from Cancun International Airport. The property will offer the brand’s signature Unlimited-Luxury® vacation concept, where everything is included. Now Natura Riviera Cancun Resort & Spa: facing the Caribbean Sea on a white sand beach, the 556-room resort will include a lazy river, waterfalls and water park amenities and a grotto bar. The resort is a short 10-mile drive from the Cancun International Airport and will open December 2019. Sunscape Akumal Beach Resort & Spa: the first Sunscape-branded property to enter the beach destination ofAkumal, Sunscape Akumal Beach Resort & Spa will have 360 rooms for guests to enjoy with the brand’s Unlimited-Fun®vacation concept. Situated near the historical and ecological offerings of Tulum and Cobá, guests can soak up the sun at four pools, including two for Sun Club guests only, along with endless activities and entertainment for the whole family like the popular Explorer’s Club and Core Zone Teens Club. The resort is set to open June 2019. Sunscape Star Cancun Resort & Spa: opening November 2019, Sunscape Star Cancun offers guests a beautiful beachfront view, four pools and water sports activities for the whole family to enjoy. The resort is located near the ruins of the Mayan Riviera and is right next door to Puerto Cancun Golf Club. AMResorts will continue to bolster its brand presence in the Mexico and across the Caribbean in the coming years with other recently announced deals for Secrets St. Martin Resort & Spa debuting in March 2020, Breathless Cancun Resort & Spa opening in 2020, and Breathless Tulum Resort & Spa set to open in 2021. Additionally, AMResorts also announced the rebranding of three Reflect Resorts & Spas properties in Mexico this year. In addition to changing the resort names to Reflect Cancun Resort & Spa, Reflect Los Cabos Resort & Spa and Reflect Nuevo Vallarta Resort & Spa, guests will enjoy enhanced facilities and amenities at each property such as new resort experiences inspired by the local cuisine and culture and more activities and entertainment. All three resorts will continue to offer the brand’s signature Unlimited-Luxury® vacation concept, where everything is included. As one of the leading leisure hospitality companies in the country, AMResorts will have over 60 branded resorts with more 24,000 rooms across Mexico, the Caribbean, Central America and Europe at the close of this year and will continue to enter new and emerging destinations further expanding its brand presence globally. To learn more about hotel development opportunities in the luxury all-inclusive space, please visit www.algdevelopment.com. Apple Leisure Group® (ALG) is the leading North American travel, hospitality and leisure management group with the only vertically-integrated business model, serving travelers and destinations worldwide. ALG consistently delivers exceptional value to travelers and strong performance to resort owners and partners by strategically leveraging the power of its portfolio of brands, including: the largest seller of vacation packages and charter flights in the U.S. for travel to Mexico and the Caribbean, moving approximately 3.2 million passengers annually through the well-established vacation brands Apple Vacations ®,BeachBound®, Funway Holidays®, Travel Impressions®, CheapCaribbean.com®,, Blue Sky Tours®, Southwest Vacations®,Funjet Vacations®, and United Vacations®; brand management of 5-star and 4-star luxury resorts through AMResorts® award-winning brand portfolio including Zoëtry® Wellness & Spas Resorts, Secrets® Resorts & Spas, Breathless Resorts & Spas®, Dreams® Resorts & Spas, Now Resorts & Spas®, Reflect Resorts & Spas®, Sunscape® Resorts & Spas and Alua® Hotels & Resorts; best-in-class destination management services provided by Amstar DMC and Worldstar®, the exclusive loyalty program Unlimited Vacation Club®; and the innovative technology solutions provider Trisept Solutions®, connecting over 88,000 travel agents with leading travel suppliers. To learn more about the Apple Leisure Group advantage, visitappleleisuregroup.com. 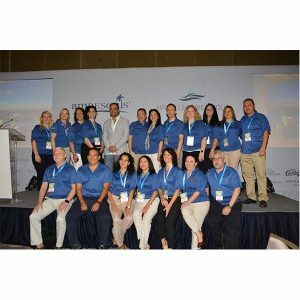 AMResorts collectively provide sales, marketing and brand management services to eight individually unique resort brands including Zoëtry Wellness & Spa Resorts, Secrets, Breathless, Dreams, Now, Reflect, Sunscape Resorts & Spas, and AluaHotels and Resorts. The company is continuously raising the all-inclusive concept to a new level of luxury with its signatureEndless Privileges®, Unlimited-Luxury®, and Unlimited-Fun® programs. Located throughout Mexico, Jamaica, Curacao, Dominican Republic, Costa Rica, Panama and Spain, AMResorts’ 63 award-winning properties treat every guest to premium accommodations, desirable locations and extraordinary inclusions. The brands in the collection include: boutique ZoëtryWellness & Spa Resorts (zoetryresorts.com; 1-888-4-ZOËTRY); adults-only Secrets Resorts & Spas (secretsresorts.com; 1-866-GO SECRETS); high-energy Breathless Resorts & Spas (breathlessresorts.com; 1-855-65-BREATHE); family-friendly Dreams Resorts & Spas (dreamsresorts.com; 1-866-2-DREAMS); vibrant Now Resorts & Spas (nowresorts.com; 1-877-NOW-9953); spirited Reflect Resorts & Spas (reflectresorts.com; 1-855-4REFLECT); and fun-filled Sunscape Resorts & Spas (sunscaperesorts.com; 1-866-SUNSCAPE). Images, logos and informational material about the AMResorts Collection of brands and properties are available at amresorts.com/mediasite/media.